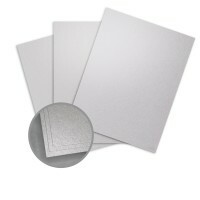 We use this card stock paper for report covers for our proposals. They are very professional looking and I like the way it projects a step up in quality. I design wedding invitations and this paper make my designs look amazing. The ink color really pops off the page, no matter the color. 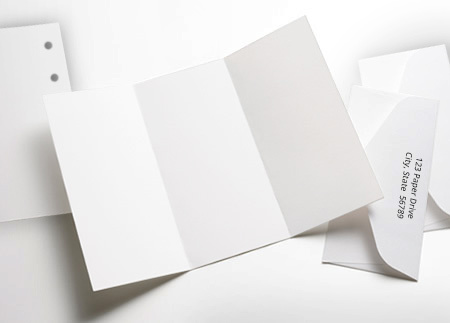 I wanted my designs to make a statement and this paper was the perfect final touch to an elegant finish. Thank you for offering this paper at a reasonable rate!!! The color and feel are wonderful if you aren't expecting a true silver color. This is a frosted dark cream color. This is an awesome Vendor to order from and I've always been extremely pleased with what I have purchased. This is the first time I've truly been disappointed. However, the Vendor was extremely easy to work with in returning the product. 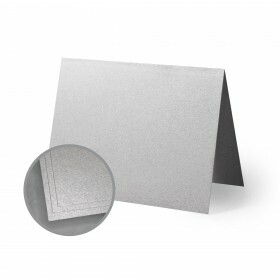 I create Wedding Invitations for Clients and The Paper Mill Store is truly one of the best places to order paper, cardstock, and envelopes from. Also the delivery time is amazing. 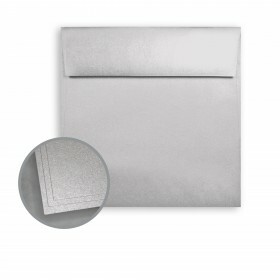 Great product, however, it is very hard to get a clean fold, because the layers of the paper separate a little. I bought a bone folder, which helped, but if you want a perfect edge, you may need to have your cards folded professionally. Printed photos look wonderful on this paper! I recently purchased this paper for my son's wedding. 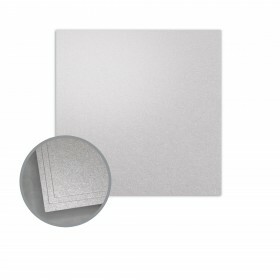 It is excellent quality and a beautiful silver color. I will definitely recommend this company to other people. Customer service rep was very helpful andfast shipping. Printed Perfectly. Invites look elegant. Paper means everything!!! 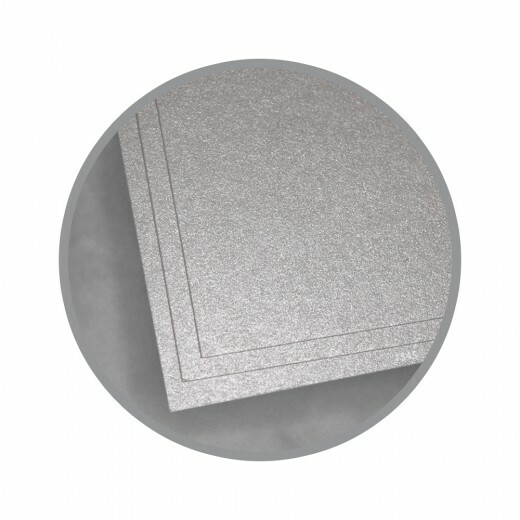 I bought this card stock to create pocket wedding invitations. 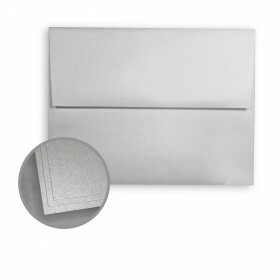 The design on the invitations requires a fold in the card stock forming the pocket. Unfortunately that design will not work with this card stock as it cracks/splits when folded (even when folded with the grain). I have not tried to print on it yet but will attempt that tonight. Perfect and just what I expected!! 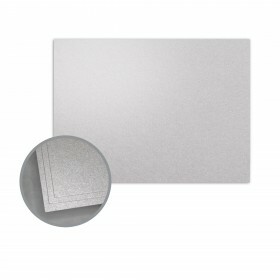 I love this cardstock! Just the right amount of sparkle, works great in my HP printer. My first use was for printing tickets for a fundraiser as I could print a quality "special" ticket for the event. I've stamped an image over full page then printed and it worked fab. I will continue to use this stock for cards, scrapbooking and more. This is a very VERY light silver. ORDER SAMPLES if you think you are interested in it. It only appears silver if held in the right light. Otherwise, it looks off-white. I was planning to pair it with white cardstock but it does NOT look good against white. I didn't order samples because I figured any shade of silver would look good with white. I WAS WRONG. it is perfect cardstock- heavy and sturdy. i will be using it as a postcard type note to put on my welcome bags. I'm using this paper for my wedding programs. They're super elegant. 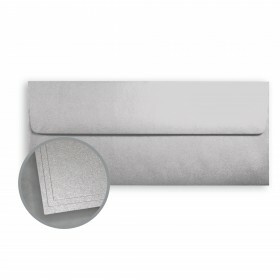 The color is amazing (it's almost like a frosted silver...which works out great for my winter wedding). Folding is super easy too! I used it for a wedding program and it looks wonderful. I printed directly on the cover. It accepts printing well. This is the second time I used your product and both times it looked sharp and professional. Paper is absolutely beautiful. Took ink from our laser printer great. Only downside was it would not print 2-sided from our printers, even in bypass. Made a great christmas card. Runs well on my digital printer. Light silver shade shows all colors well. Good choice for invitations and handouts. Beautiful paper with a lovely sheen to it. I used it for wedding invitation booklet covers, and it worked nicely. Good weight to it and just lovely.